The continued influx of cattle keepers from Kyankwanzi, Nakaseke, Bushenyi and Luwero with large heards of cattle to parts of Acholi land in recent years has become a source of unrelenting tension and tribal animosity for the people in the area. The Minister of Agriculture Vincent Bamulangaki Ssempijja held a fact finding mission with local communities and the Balaalo last Friday to try to resolve the conflicts. But most of the comments made during the meeting suggest that the two communities can no longer co-exist. The Acholi accuse the Balaalo of causing starvation for hundreds of families whose gardens have been turned into grazing grounds for hundreds of cattle owned by the nomadic pastoralists. There are also reports of mischief, deceit and fraud on the part of the gun-wielding cattle keepers who have entered agreements to lease land at exploitative rates. The cattle keepers have been renting land to graze animals but have often under-stated the number of cows they would introduce resulting into overgrazing of the land. Minister Ssempijja revealed some of the unfair practices while in a security meeting held in Gulu recently. “People should not take it that the Acholi are chasing you away from their land. You cannot come here, allow your cows to graze on people’s sorghum gardens calling it tall green grass. 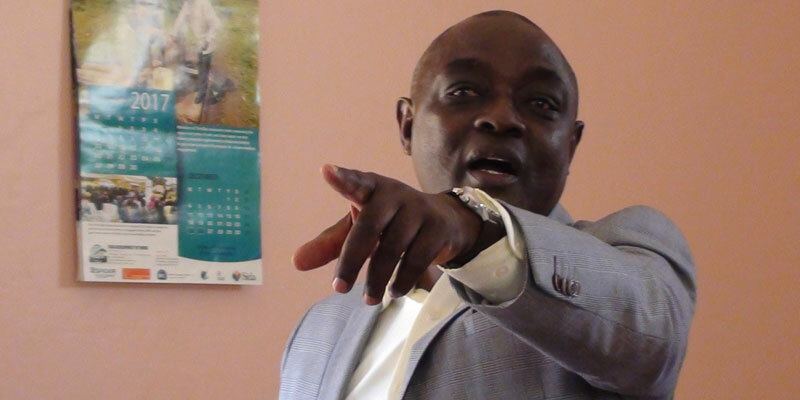 That is wrong and unacceptable,” Ssempijja told the cattle keepers during the meeting. “The Acholi were paying back in a way because you hosted them when they had problems, now they are hosting you. But how do you do it? Do you just bring animals here, in an acre of land, you bring about 300 animals that are grazing that needs about 500 acres of land? I think now everybody sees the problem,” Ssempijja told the cattle keepers. The contention between the Acholi community and the Balaalo started in 2015 when the district leadership failed to peacefully settle disputes arising from animals straying into people’s gardens and the community claimed the cattle keepers were arrogant and referred to sorghum and millet, Acholi stable food as tall grass for their cattle. Ssempijja warned the Balaalo against tricking the Acholi land owners by renting their land to them saying such dishonesty breeds conflict. “It’s like you trick these fellows to say I will bring 100 cows and you bring 900. You go there and convince the others using this little paper and you bring 900,” he noted. Peter Okoya, a land owner in Iraa Village, Palaro Sub County, Gulu district says his family was forced to rent land to the Balaalo since they were no longer respecting boundaries and their animals were destroying crops in their gardens. Okoya and his family rented out 400 acres of land for two years at 3million shillings. “Now we are surviving on food from Paluda Refugee camp in Lamwo district. We buy posho, cooking oil and beans from the market because our crops were destroyed by the Balaalo cattle with the exception of rice,” Okoya further explained. Okoya says efforts to get help from local and district leaders were futile since meetings never yielded any fruit. Robert Agaba, one of the cattle owners with around 200 cattle rented land for two years in Oroko village, Mede parish in Palaro Sub County but he says they did not measure the land. “They just pointed for me the boundaries. We put the agreement in miles. But I will fence it. I have no problem with that,” he says. 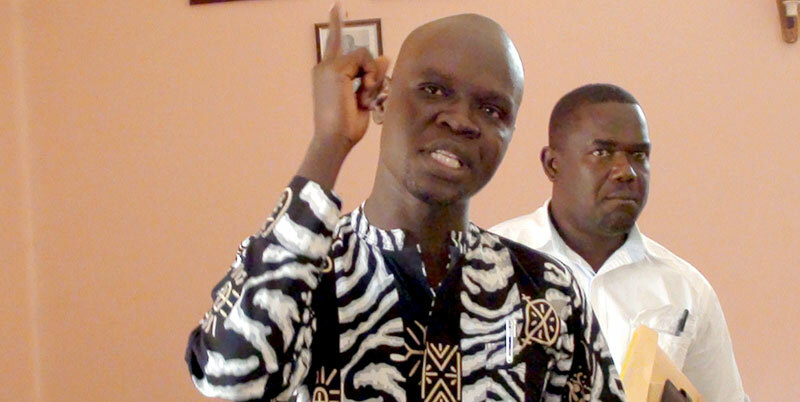 The Gulu district chairman Martin Ojara Mapenduzi alluded to the insensitivity on the part of the Balaalo as the possible reason for their failure to resolve the disagreements. Chairman Mapenduzi, told the meeting that the Balaalo should understand that exploiting the ignorance of the locals is wrong. “They came and made agreements with the land owners where in some cases, an acre of land is rented at 1,000/= per year if you do the calculation. They are giving our people peanuts and they are very arrogant as you can see from the way they are talking in this meeting,” an angry Mapenduzi pointed out. 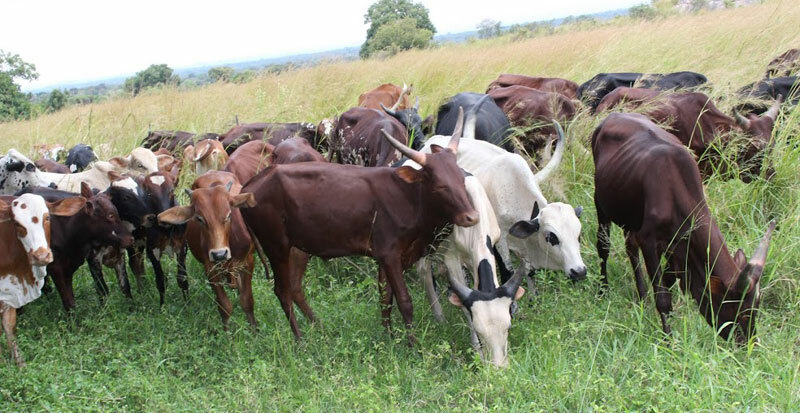 Gulu district has about 4,000 cattle mostly in Palaro Sub County and majority of the cattle are owned by Balaalo. Godfrey Oringa Largo, Pader LCV Chairman told Minister Ssempijja that the security situation in his district is volatile due to conflicts caused among the community by the Balaalo who leave their animals to stray and destroy crops from gardens. In order to resolve the boiling tensions, President Museveni last October issued a directive ordering the Minister of Agriculture to remove the Balaalo from Acholi land. President Youweri Museveni on 24th October, 2017 issued a directive after inquiry that the Balaalo should leave Northern Uganda since they are causing conflict and their animals destroying people’s crops. He ordered those who have genuine land agreements and asked them to fence the land to prevent animals from straying. Minister Ssempijja asked the Resident District Commissioner of Pader to ensure that peace prevails. Milton Kato, the Gulu district Chief Administrative Officer, read out resolutions of the meeting to more than 200 Balaalo cattle owners gathered at the council hall giving two months to move their animals out of the region back to where they came from. Kato added that the two months period given by the Minister of Agriculture is to allow the ministry procure vaccines for the 150,000 cattle in the region to avoid the spread of Foot and Mouth Disease that is already a problem in 27 other districts in the country. Other resolutions reached include the prohibition of further ferrying of animals to Northern Uganda from other parts of the country until the matter is resolved. All animals will be vaccinated beginning February 5, and animals brought without legal documents should leave the region by March, 2018. And agreements would be reviewed by district leaders together with clan heads since land in the region is communally owned. All cattle keepers with legal requirements are to fence the land they rent if they are to continue grazing their animals in the region.